Please check out my New Music Video, Down Dark Wat.. 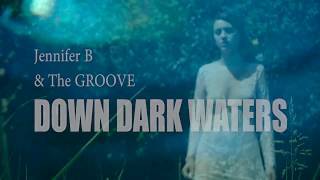 Please check out my New Music Video, Down Dark Waters by Jennifer B & the Groove. Created by Kat Albert of Studio-E2 #ATX , This song will be featured as a video as well as a live performance at The Saxon Pub Austin, Texas on November 18, 2018. This is an original song written by Jennifer Lindsey 2018. Kat Albert, an American Filmmaker in Austin, Texas, (Studio-E2) fell in love with this song. She created this Amazing visually stimulating video to capture the sorrow of a story of a broken hearted tragedy. Down Dark Waters was recorded at Orb Recording Studios, Austin, TX with Juan Lopez (sound engineer).